As the partial federal government shutdown continues into record-setting territory at 23 days and counting, hundreds of thousands of federal employees do not know when they will receive their next paycheck and how they will support their families. 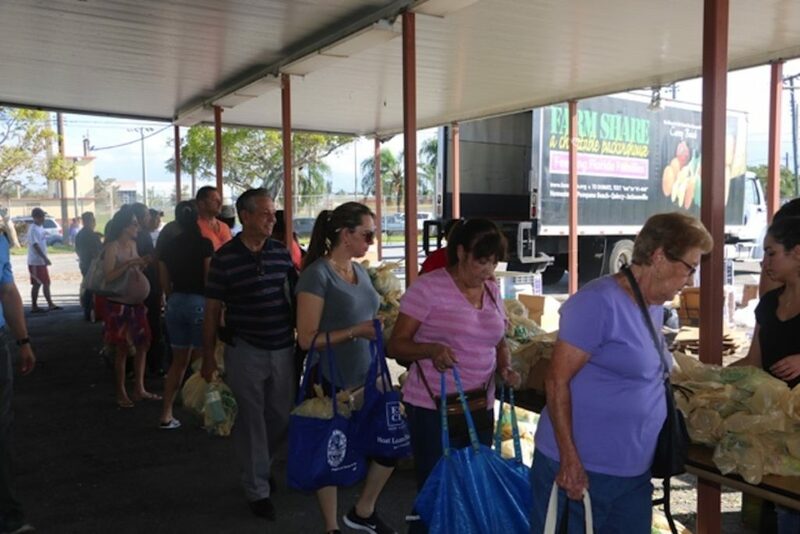 Farm Share, a Florida-based food nonprofit, stands ready to assist these families by providing them with healthy and nutritious fruits, vegetables, rice, proteins, and other non-perishable food products. Any federal employee and their families can contact Farm Share via phone (numbers are listed below) for information about Farm Share’s warehouses and how to get in touch with any one of Farm Share’s hundreds of partnering agencies throughout Florida to request food assistance. Families will be able to pick up a week’s worth or more of food that can be used to feed their family for the duration of the shutdown or as long as they continue to be in need. “Farm Share views the effects of the prolonged partial government shutdown on the livelihood and wellbeing of federal employees in the same manner we do a natural disaster. Therefore, given the unknown duration of this event, we’re working diligently to plan and implement relief efforts aimed at helping those affected families and individuals throughout Florida,” stated Farm Share Chief Operation Officer Stephen Shelley. Additionally, Farm Share, which is known for its community food distributions throughout the state, is reaching out directly to federal employers affected by the shutdown to offer assistance in setting up food distributions at their place of employment. This includes the TSA, Coast Guard, National Parks, and other employers needing Farm Share’s assistance in setting up relief distributions for their employees.